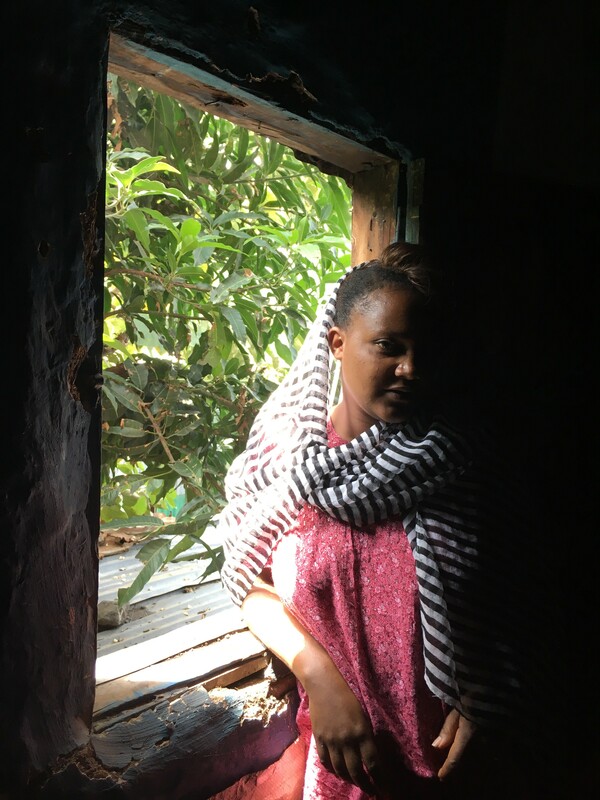 In the second of the four-part series, we explore the environment of desperation and speak to women who are eager to leave Ethiopia, ban or no ban. They see migration as an escape, disregarding what they are escaping to. ‘We have never been colonised’ is a refrain that echoes in every conversation you have in Ethiopia, from the front office staff at the hotel to the taxi driver, from the community worker to the petty shop trader. A proud refrain against the backdrop of large-scale Chinese investments and schemes driven by donors from every rich country imaginable, with poverty so extreme, corruption so high, and the middle class a minority. Najat is determined to go to Dubai, though her brother Aragie is not convinced. About 370 km from Addis Ababa and en route to Djibouti, Kombolcha is an emerging industrial town in South Wollo region. The Chinese are building industrial parks, tailoring units, and the most basic of infrastructure in and around the area. There is an effort to generate employment opportunities through these different projects. But Najat is not buying it. Her heart is set on Dubai. Her brother is the gatekeeper of their home and her dreams. The family runs a coffee and refreshments shop from the front room of their home. Jeddah is a generic term used for anywhere in the Gulf region. A young man of slight build and one too many worry lines around his eyes enters the room. We learn the older woman and young girl who were at the till are his mother and youngest sister. Aragie Yemer, all of 28, is the ‘father’. A placeholder word for the male head of the family. He first learnt of the Middle East in 2006 when many youngsters from the village sought their fortunes there. “I had no plans to go myself. I make do running this tea shop. But now my sister wants to go and change her life. She is 22 and has been wanting to go since 2014. She feels there are more options there. Friends of hers, even younger than her, have been talking about it,” he pauses, gathering his thoughts. He seems displeased with his sister’s decision but knows she will wear him down sooner or later. When a person wants to migrate, they will. Regardless of what obstacles line their way. A realisation that still hasn’t dawned upon authorities. Aragie feels she can get into any number of vocations – petty trading, hair-dressing, tailoring. Hairdressers, petty traders, tailors… you can’t walk 500 metres without tripping over one of these 'businesses.' These vocations continue to be the weak foundation on which many policies are built to counter migration. Imaan, the youngest sister, is listening keenly to the discussion. The 15-year-old has dropped all pretence of helping her mother at the counter. The decision her brother takes about Najat, the older sister, will impact her life too. They are not aware that the ban is for all overseas migration from Ethiopia. Yet... her mother and brother seem resigned to the fact they can no longer stop her. Her sister looks cautiously happy. Her dreams are generic. A business, a better life. Life in the Gulf is her Hail Mary pass to a better life. 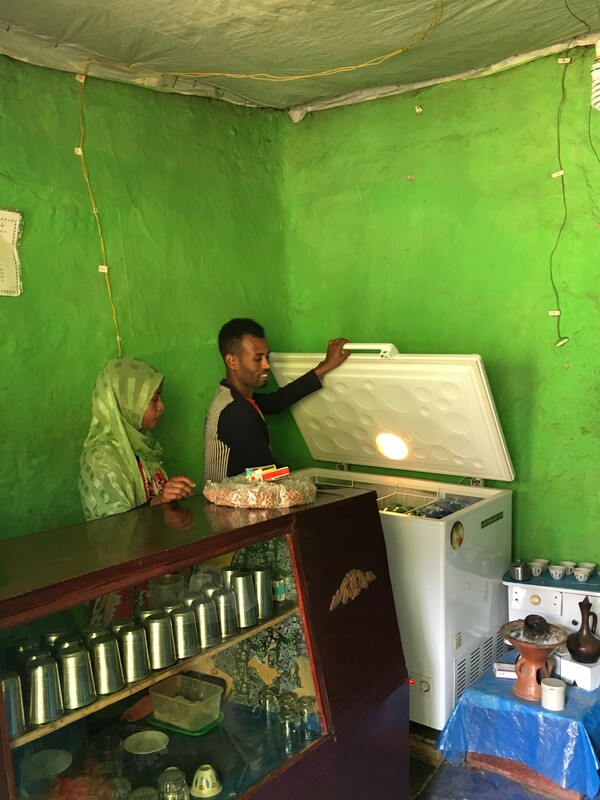 There is a lack of cross-fertilisation between migration and employment policies, says Ruchika Bahl, Chief Technical Adviser, Project on Addressing Root Causes of Migration in Ethiopia. So far they have paid only for the passport, but expect to pay another 9,000 to 11,000 Ethiopian Birr (USD 330 to 400) for her to be able to travel. 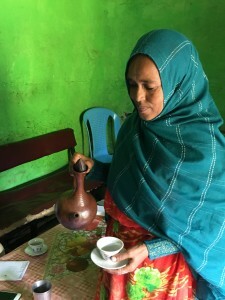 Abeba Sied Adam is also at a similar juncture. In her case, she is being urged to migrate by her father, and as she claims, her 7-year old daughter. Her passport and medical reports are being processed so she can go to Dubai as a domestic worker. She shrugs when she hears of a ban. Everyone is going to Dubai, she smiles. Twenty-seven-year-old Abeba works at a nightclub in Komblocha. 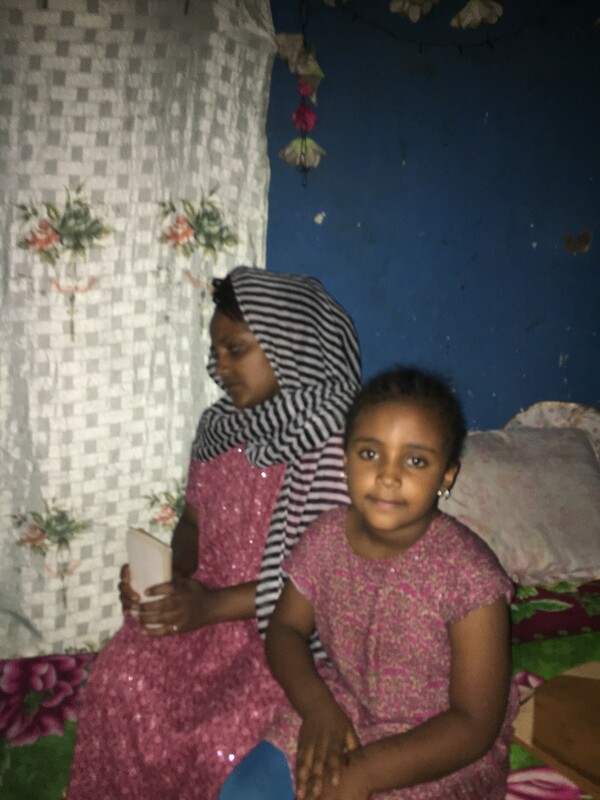 She is candid about her life and work in Ethiopia, despite her seven-year-old lounging on the narrow cot in one corner of the room, listening to her mother speak. Her father, she claims, doesn’t know she works in a nightclub and earns well. The lady who took her in when she ran away from her parents home years ago, to work in the club, has warned her to be careful in the Gulf. “She was telling me about people stealing organs.” An accusation thrown in so casually, taken so lightly. 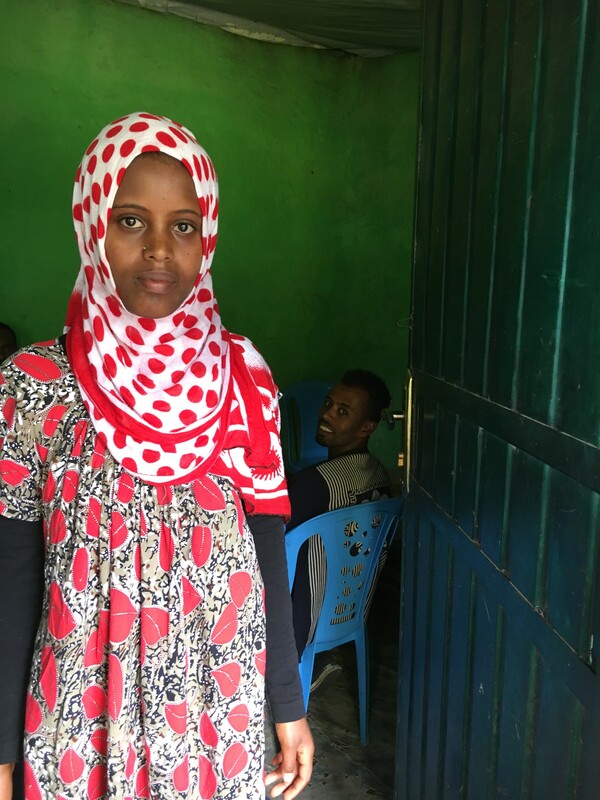 Abeba, now that the decision to go abroad has been made, cannot give room for any doubts in her mind. “My daughter will live with her grandparents. She wants me to go. She sees other small kids who receive gifts from their mothers who live abroad. She wants to buy a house also. This is rented,” she says, waving her arms dismissively at the blue walls of her single room home. Across the doorway, in one corner is a coal-fuelled stove and some utensils. An uncovered window provides the only natural light source for the room. The remnants of a birthday celebration are still up on the wall. More than three-quarters of the 168,000 returnees from Saudi Arabia (between 2013 and 2014) had irregular status by the time they were deported. Close to 60% of these returnees migrated irregularly, whereas 15.4% entered Saudi Arabia through legal channels and became irregular due to various reasons, including overstaying their visas. According to Ethiopia’s MOLSA (The Ministry of Labour and Social Affairs), 480,480 citizens had migrated regularly to the Middle East between 2011 and 2013, prior to the ban. However, many more have migrated irregularly, predominantly victims of traffickers, mainly using brokers from both source and destination countries who facilitate illegal recruitment and labour migration. The ‘she’ who wants a house and small gifts just turned seven the week before. She pulls out a packet of photos from under the pillow and gives it to her mother. In frills and bows, surrounded by her friends and a doting mum, a rich white cake and gifts, she glows in her birthday photos. Abeba pulls out a photo of herself in full make-up and intricate shuruba. “Use this. I don’t look good today… don’t take my photo. Take me if you want,” she laughs, not quite joking. There’s just that fleeting moment of doubt and insecurity before she goes back to her confident and chirpy self. Does she plan to speak to the employer before she travels? As we cross the road from her home to the waiting car, a lady from the neighbourhood stops. She has a story too. Someone’s missing and she needs help tracking her down in Dubai. This would happen a handful of times, people lost, people in search of someone… people floundering.